Light up commercial exteriors with stylish 7in. Angle Shade Gooseneck Lights. Features include all-aluminum construction, commercial-grade durability, and rust resistant powder coated finishes in a choice of 25 attractive colors. Also, add on swivel couplings to make adjustable gooseneck lights for signs (added cost applies). 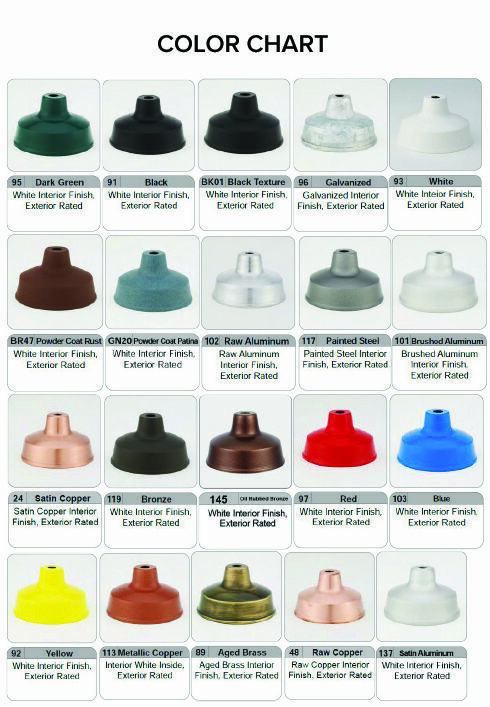 Standard lamping is incandescent for a maximum 150-watt bulb, and gooseneck fixtures are UL Listed for exterior use. A popular sign light, Angle Shade Goosenecks are a great option for multi-fixture arrangements above signage and awnings. Aluminum back plates have holes at 3 1/2" on center for easy installation to a 4" standard round or octagon J-box. Gooseneck arms, shades and back plates are all powder coated to match, with the inside of Angle Shades left white for maximum brilliance. To order outdoor gooseneck lights with metal halide, high pressure sodium, compact fluorescent or LED lamping, please call toll free for details and a price quote.